Are you frequently searching Penn Libraries e-resources from off-campus? Do you often link to our e-resources from non-Penn Libraries sites such as Google Scholar? Then we’ve got good news for you. Accessing our content has just gotten easier for the Penn Community! Thanks to our Discovery Team, Penn Libraries has introduced the Lean Library Access browser extension. Using the browser extension simplifies access and reduces the number of clicks to reach full-text articles when outside the campus network. Instead of hitting a paywall when visiting a journal’s website, the extension icon will prompt users to login using your Penn credentials. 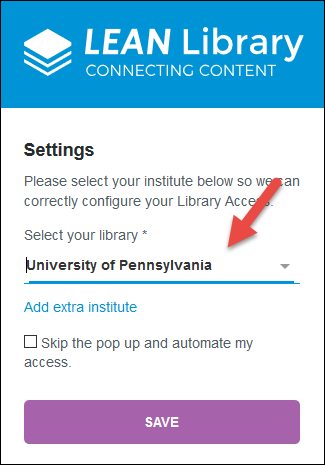 If the content is available via a Penn Libraries’ subscription, the user will be brought directly to the content. If not available, users will be offered the option to request the article via interlibrary loan. For more information, visit this Library Guide, or follow the instructions below to get started! To use Lean Library Access, all you have to do is add the extension to your favorite browser. 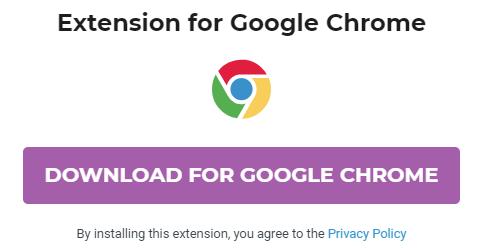 These browsers and versions are supported: Google Chrome (version 62+); Firefox (version 56+), Apple Safari (version 11.0+), Opera (version 51+), and Microsoft Edge. Please note that the Lean Library extension does not support mobile devices.